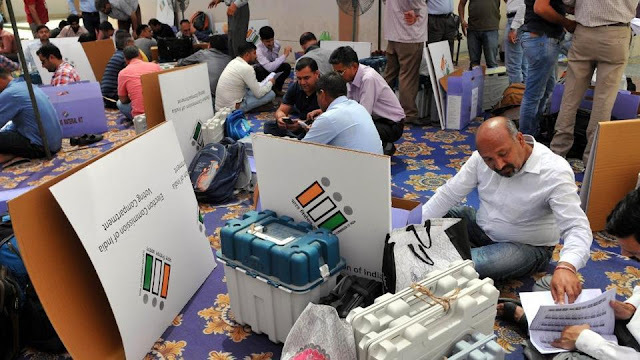 In the first phase of the Lok Sabha Elections 2019 voting was done today in the following states - Andhra Pradesh, Arunachal Pradesh, Assam, Bihar, Chhattisgarh, Jammu and Kashmir, Maharashtra, Manipur, Meghalaya, Mizoram, Nagaland, Odisha, Sikkim, Telangana, Tripura, Uttar Pradesh, Uttarakhand, West Bengal, Andaman and Lakshadweep. As per the Indian Steel Association, India's steel demand is likely to grow by over 7 percent in 2019 and 2020, driven by sectors like construction, capital goods and railways. "The Indian Steel Association has forecast India's steel demand to grow by 7.1 percent in the calendar year 2019 and by 7.2 percent in the calendar year 2020. India captain Virat Kohli was on Wednesday named the Leading Cricketer in the World and featured in Wisden's Five Cricketers of the Year, by the Wisden Cricketers' Almanack.